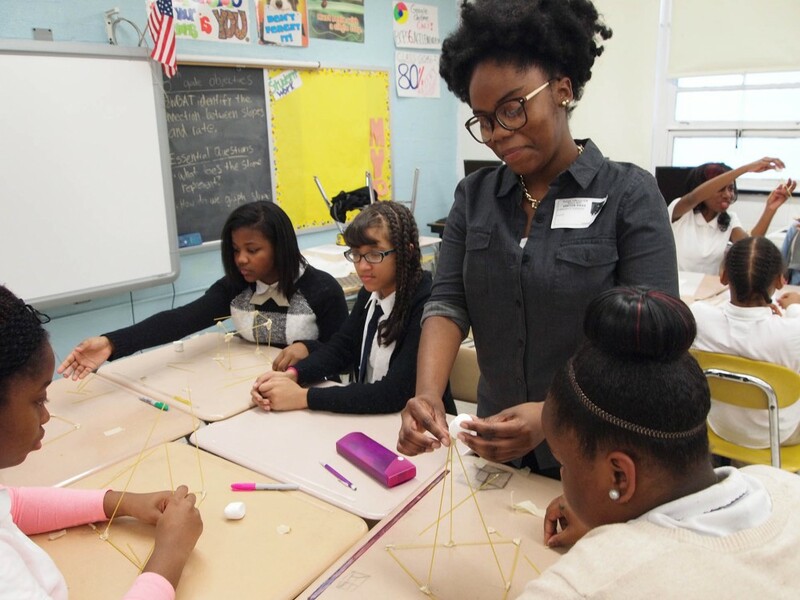 With support from AIABaltimore and the Baltimore Architecture Foundation, FAR/Kids in Design has conducted outreach programs in schools around the region, increasing student awareness and appreciation of the built environment and introducing architecture as a potential career path. 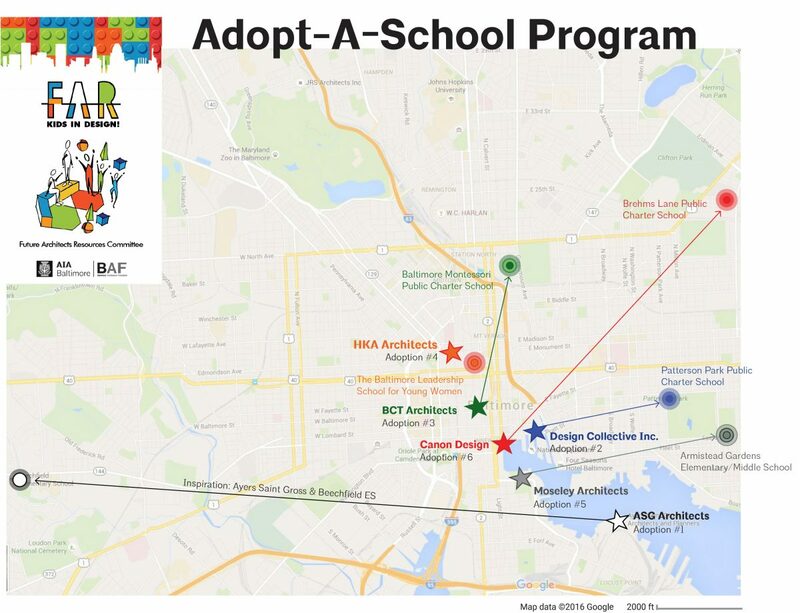 The Adopt-A-School program builds on this foundation by fostering partnerships between local architecture firms and Baltimore City schools. Through these close knit partnerships, design professionals and educators work together to create comprehensive lessons about architecture with a focus on Baltimore neighborhoods, encouraging students to think big about their communities and expand their horizons to careers in architecture. Building a longer term relationship between architects/designers and students in their community. Scheduling two or more regular annual activities in which architects introduce our profession and engage students in enjoyable, interactive design-related activities. Fostering an appreciation in students for the importance of architecture in Baltimore and their neighborhoods so as to grow in both understanding and civic pride. Introducing and reinforcing sustainable practices that promote an appropriate respect for the natural environment and careful, prudent use of global resources. Encouraging students to expand their horizons and consider career paths in Architecture, Design and related fields. Review the Memorandum of Understanding (MOU) for participating firms and schools. Interested in learning more about participating Adopt-A-School? Contact Zevi Thomas at zthomas@aiabalt.com or 410.625.2585 x104.